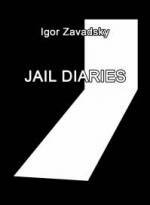 Jail Diaries / Igor Zavadsky; comp. Yevhen Zakharov; trans. Les Herasymchuk. — Kharkiv: LLC “Human Rights Publisher”, 2016. — 176 p.